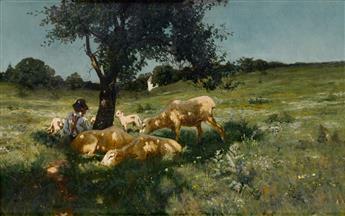 HENRY OSSAWA TANNER (1859 - 1937) Boy and Sheep under a Tree. 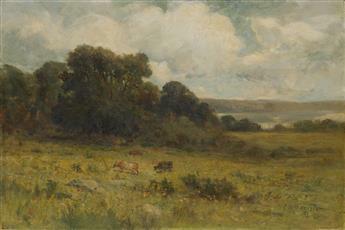 EDWARD M. BANNISTER (1828 - 1901) Untitled (Rhode Island Landscape with Cows). 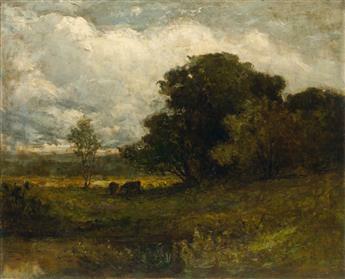 EDWARD M. BANNISTER (1828 - 1901) Untitled (Pastoral Landscape). 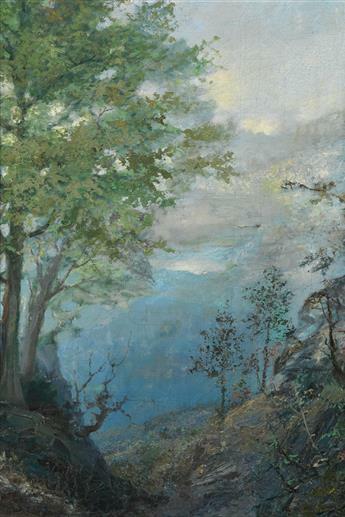 THOMAS WATSON HUNSTER (1851 - 1929) View of a Valley. 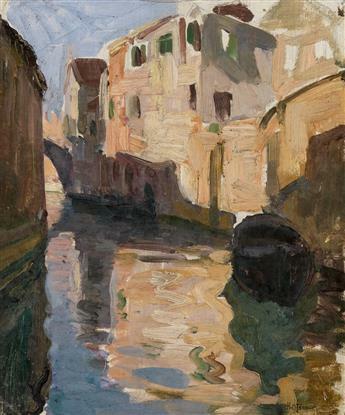 HENRY OSSAWA TANNER (1859 - 1937) Venice. 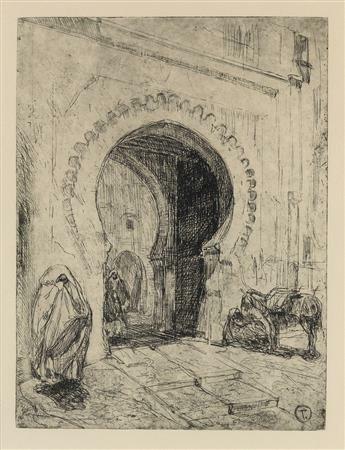 HENRY OSSAWA TANNER (1859 - 1937) Gateway in Tangier. 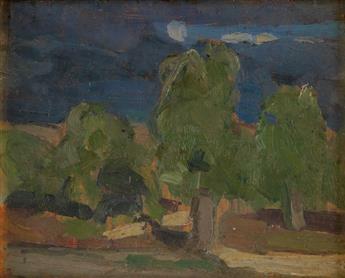 HENRY OSSAWA TANNER (1859 - 1937) Countryside Around Nice, France. 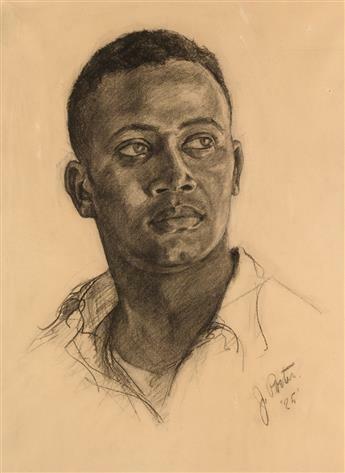 JAMES A. PORTER (1905 - 1970) Head of a Young Man. 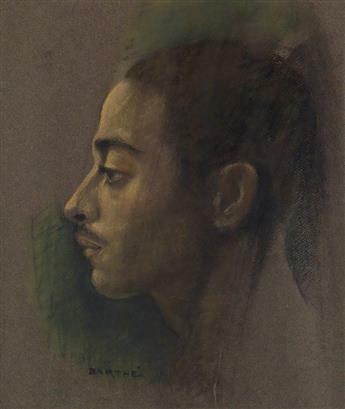 RICHMOND BARTHÉ (1909 - 1989) Untitled (Portrait of a Young Man). 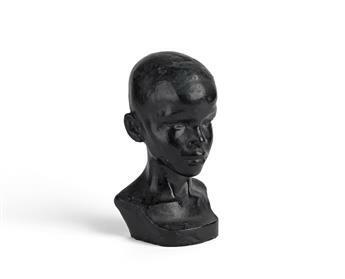 RICHMOND BARTHÉ (1901 - 1989) The Black Boy (Head of Boy).